Yesterday, Universal Music Group won one of the largest items ever to be auctioned in the music business: EMI’s recorded music assets, including works by the Beatles, the Beach Boys, Cold Play, Pink Floyd, Radiohead, and most of the Motown catalogue. The price tag: $1.9 billion USD. Meanwhile, a Sony-led consortium purchased EMI’s music publishing division for $2.2 billion USD. Regulatory approval of the two deals may take another year, and could lead to significant changes in the way that EMI is being split up and sold off. But Universal is already busy managing public perceptions of its latest acquisition. Mick Jagger was glad that Universal, which he described as “people who really do have music in their blood,” now controls much of the Rolling Stones’ catalogue. And according to Cold Play manager, Dave Holmes, “This can only be positive for the artists and executives at EMI.” These comments suggest that, compared with EMI’s previous owners (Terra Firma, a private equity group, and Citigroup), Universal will provide a more musician-friendly environment. Notably absent in the news coverage thus far is any sense of how the deal sets the stage for an unprecedented concentration of ownership in the music industry. Scholars, music critics, musicians and fans have long decried concentrated ownership in the music business. 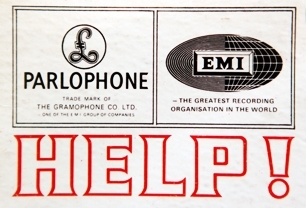 Until the 1990s, the music industry was largely controlled by the Big Six: BMG, EMI, PolyGram, Sony, Universal and WEA. In the 1990s, Seagram (the Canada-based liquor company) purchased Universal and PolyGram and the Big Six became the Big Five. In 2004, Sony Music merged with BMG to become Sony BMG, leaving control of the music industry in the hands of the Big Four. Perhaps in times of recession, consolidations on this scale seem unremarkable. Perhaps extremely concentrated economic power in media and culture has come to seem normal. It will be interesting to see how this story is covered in the next few days, but so far, nothing about this situation appears to be particularly worrying for commentators and reporters.